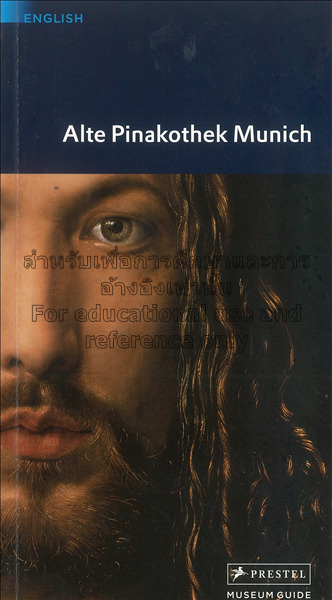 Alte Pinakothek Munich = Prestel Museum Guides. The Alte Pinakothel is part of the Bavarian State Collections of Painting, which comprises four museums in Munich: the Alte and Neue Pimakothek, the Staatsgalerie moderner Kunst and the Schack-Galerie. In addition, there are 15 State Galleries throughout Bavaria. The administration of all these museuns, overseeing roughly 30,000 works of art in Bavaria, is housed in a wing of the Neue Pinakothek. Some of the branch galleries had to be established as early as the 19th century to take the overflow from the four Munich collections. Consequently, numerous Early German paintings are hung in Aschaffenburg, Augsburg, Bamberg, Burghausen, Fussen and Ottobeuren. There are Baroque paintings in Ansbach, Kulmbach, Schleissheeim and Wurzburg. Page : 144 p. : col.ill, : 22 cm. Munich, Germany : Prestel, 2010. 144 p. : col.ill, : 22 cm. Arts & Photography , : Collections.